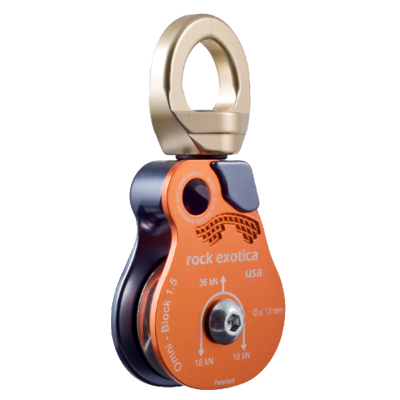 Incredibly quick to reeve, the Rock Exotica 1.5″ Omni Block is a high strength, swiveling rope block/pulley. 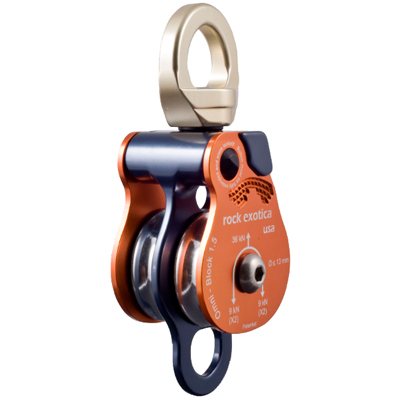 Like Rock Exotica’s popular swivel connectors, these pulleys eliminate twisting from rope rigging systems with smooth, ball bearing action. 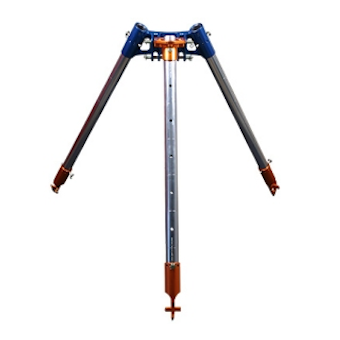 each precision fabricated alloy block has a unique button activated release feature that allows instant access to the sheave for midline attachment. 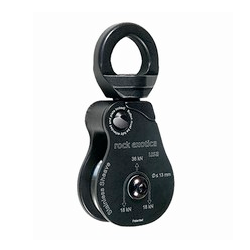 the milled alloy attachment eye is large enough to accept most carabiners and snaplinks or can be reeved directly onto a webbing or rope anchor. available in either single or double sheave versions. absolutely the best pulleys available for rope access and rescue rigging. 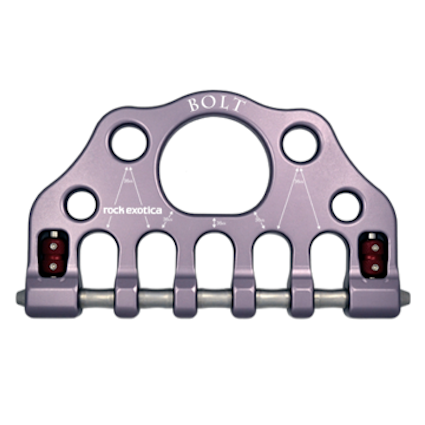 The Bolt is another cleverly designed rigging plate from Rock Exotica. This high strength alloy rigging plate allows you to attach ropes, pulleys etc. without using any carabiners, by means of a central steel bar. The result is not only a cleaner looking focal point, there are simply less weak links in your rope system. 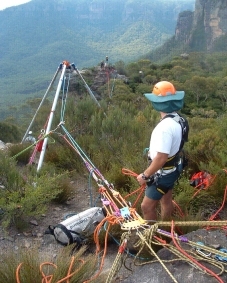 Aimed at the rope rescue or rope access technician, this device is limited only by your imagination of rigging possibilities. Please note that adequate training and judgment are needed to reduce the risks inherent in the use of this equipment. It is the responsibility of the purchaser to ensure that the user is adequately and competently trained in the use of this product. We strongly advise that you do not use the Omni Block without first undertaking appropriate training.